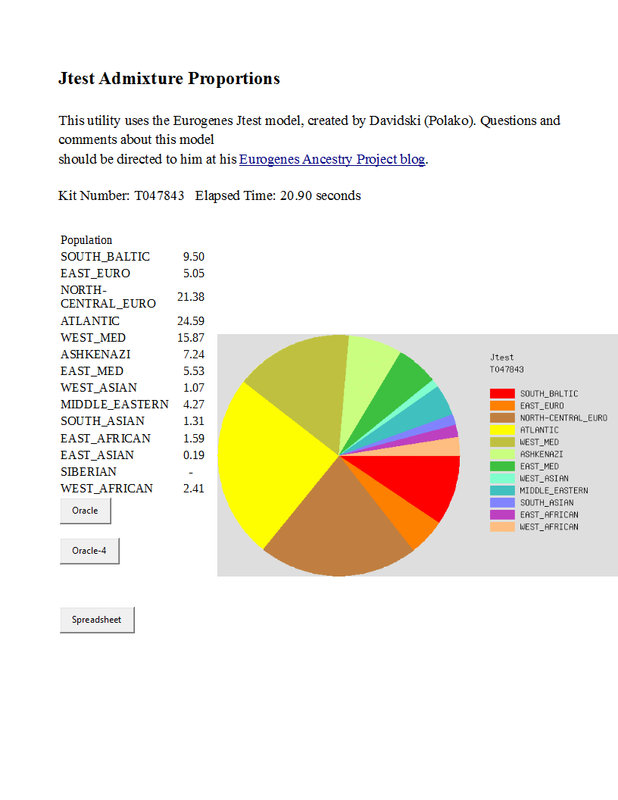 So, I took a few Gedmatch admixture tests. How it works is that you test at 23 and Me, or Ancestry, or FamilyTreeDNA and you upload your results to Gedmatch. It is easy. I did both autosomal Family Finder and Y tests at Family Tree. I recommend Family Finder or Ancestry basic test if you only want to do one to see how things go. As far as I know, Y testing won't upload to Gedmatch. 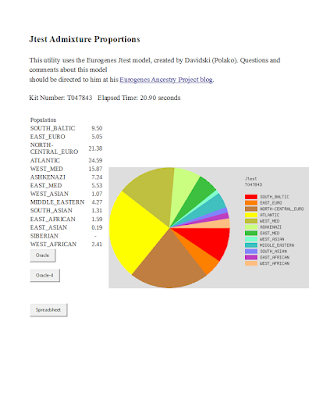 But Y tests are good for projects you can join on FamilyTreeDNA. The fulfillment of prophesy made by the Apostle Paul regarding physical descendants of Jacob is discussed at my other blog. Please note that my Yemeni and Ethiopian Jewish roots force me to reject the behavior of Israel regarding these two groups and the Palestinians.